(Newser) – For many reporters, it's been a hard week. Roughly 1,000 editors, writers, and other media employees were laid off, and more cuts may be coming, the Cut reports. It began Wednesday when Verizon—the owner of AOL, Yahoo, and the Huffington Post—said 7% of its staff was getting the ax. Then the Wall Street Journal reported that BuzzFeed was showing around 250 workers the door, and Gannet Co., the owner of over 1,000 newspapers nationwide, erased roughly 400 jobs. 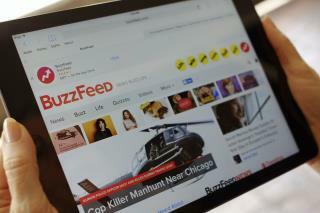 Thursday, the details: Buzzfeed was killing off its national desk and leaving its LGBT desk with just one person, per the New York Times, while HuffPo was laying off about 20 employees including Pulitzer Prize finalist Jason Cherkis. This will hopefully give good journalists a chance to shine! 1,000 fired reporters, a thousand less purveyors of 'fake news', a thousand fewer idiots insulting the Sandmann kid. It's a good start America. Pull the handle again and hope it clears the pipe.